USA residents that play blackjack online for real money are going to be excited. Miami Club Casino has released a new, exciting version of blackjack called Downtown Vegas Blackjack. When you play Downtown Vegas Blackjack you should know that the goal is for the players hand to add up to twenty-one or have a hand that is higher than the dealer. One of the rules in Downtown Vegas Blackjack is the dealer must draw to soft seventeen and stand on a hard seventeen. Downtown Vegas Blackjack is played with two decks of cards and the jokers are removed from both of the decks. The decks are shuffled each time the game is over. You can draw as many additional cards as you want as long as the value of YOUR hand does not go over twenty-one. If the value goes over twenty-one then you bust. In Downtown Vegas Blackjack you can play from five different positiions but you can play one hand at a time. American Poker Directory would like to cover some additional rules that you should be aware of. The face cards, including the tens all have a value of ten. Just like in regular blackjack, the Ace has a value of one or eleven. A soft hand is when your combination of cards contains an ace and the value of the hand does not equal twenty-one. Naturally, The ace will adapt to your hand, becoming either a one or eleven, whichever benefits you (the same as regular blackjack). In the case you are dealt an ace and a face card comes down with the value of ten (Jack, Queen, King, Or Ten) you will automatically stand. If you defeat the dealer in this hand you will be paid 3 to 2. Just like in regular blackjack you have the option to split your hand, and make two separate bets. The second bet will automatically equal your first bet and the hands will be played at the same time but as separate hands. When a player is dealt two cards that have a value of ten, the player may split their hand. When someone plays Downtown Vegas Blackjack online and is dealt two Aces, they can split the Aces, but the player will receive one more card to complete the hand. If the second card is a ten or a face card, it is not considered blackjack. Downtown Vegas Blackjack is exclusively available at Miami Club USA Online and Mobile Casino. 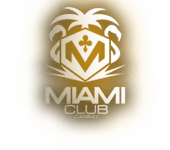 Miami Club Casino accepts real money players from The United States of America, and their online casino is powered by WGS software. When you sign up for Miami Club Casino through an AmericanPokerDirectory.com link or banner, and mention that AmericanPokerDirectory.com is the referrer, then you will get a one hundred percent welcome bonus that is valid up to eight hundred dollars.